An updated version of a popular support book, rebranded in the 'Scottish Examination materials' format and now with answers included. 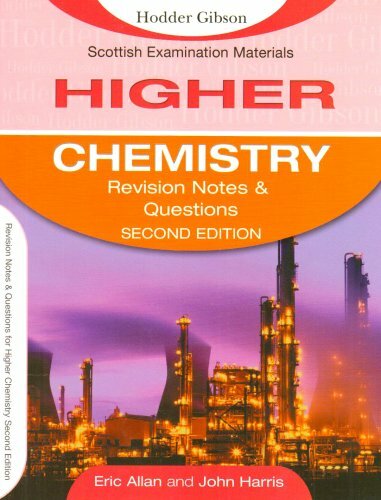 Revision Notes and Questions for Higher Chemisty 2nd Edition has been written specifically to complement New Higher Chemistry (by the same author team), and provides valuable practice for students throughout the course. It offers summaries of essential facts and theories, worked examples and a variety of questions, all of which help to support and reinforce learning and practice for the final examination. This second edition has been updated to reflect the most recent syllabus changes. Includes a variety of question types to reflect those used in unit tests and the final examination, including multiple choice, grid, sentence-completion and written answer. Covers the knowlegde, understanding and problem-solving parts of the course. Answers are provided at the back of the book.